Bike carrier from the top segment. Handy one-click connection. Aluminum and other high tensile strength, lightweight materials have been used for this premium carrier. Smart and innovative pump buckles on the durable webbing straps for the most comfortable and secure attachment of the wheels. 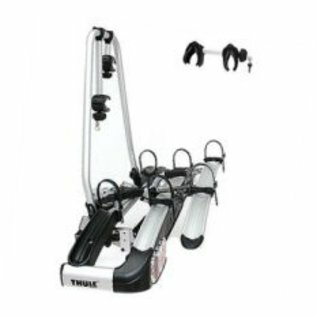 The one-hand coupling requires very low closing force and attaches to the towing hook within a few seconds, but allows the highest stability and safety. 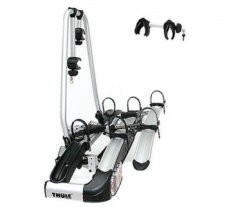 Foot pedal-tilt for easy and comfortable access while the carrier and the bikes are mounted. A built-in stop prevents the bikes from hitting the ground. 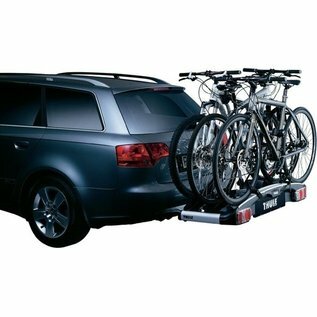 The large tilt angle makes opening of even very large rear doors possible, without being burdened by the carrier (eg VW T5). 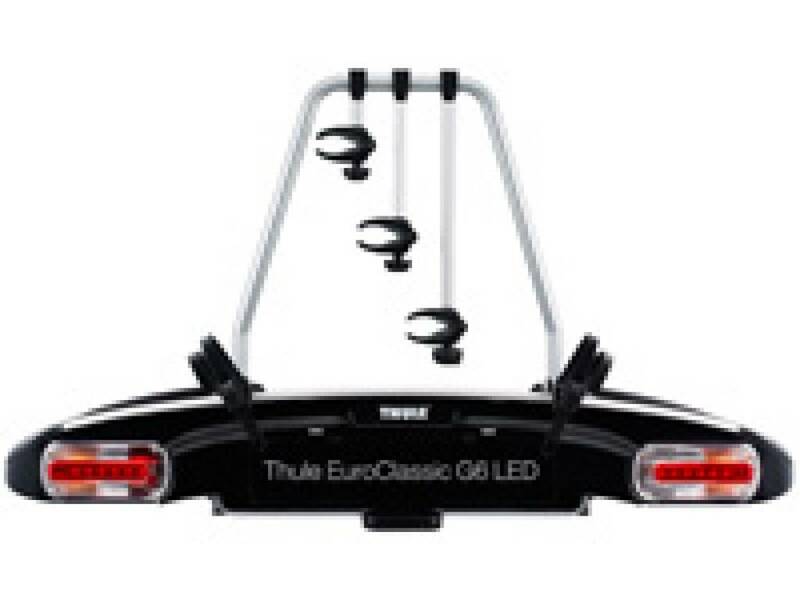 The maximum weight per bicycle is 25 kg, making the transport of E-Bikes / Pedelecs possible. 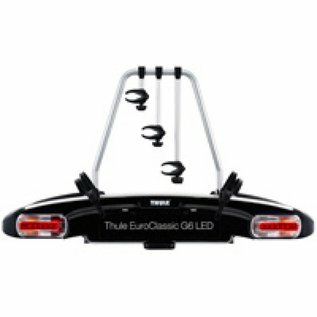 With the unique, removable frame holders that can be easily removed and re-inserted after loading the bikes . 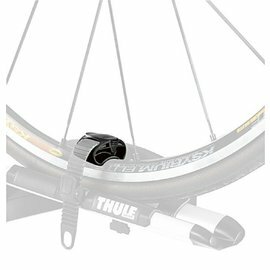 A feature that makes loading the bikes faster and easier . 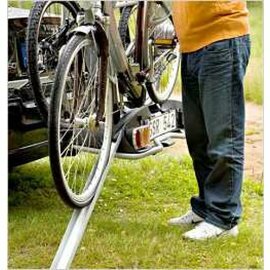 With rubber surface for the protection of the bicycle frames. Fits all bike frames up to 80mm. 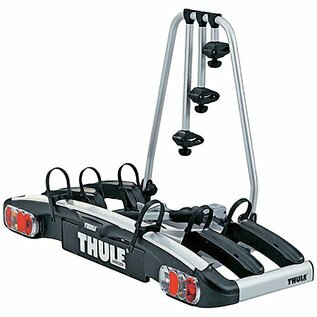 The load capacity of the bike carrier can be increased by a bicycle, by adding Thule Bike Adapter 928-1. 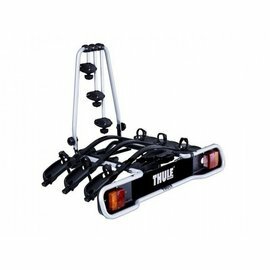 With lock on both towbar attachment and frame holders - compatible with "Thule-One-Key-System". 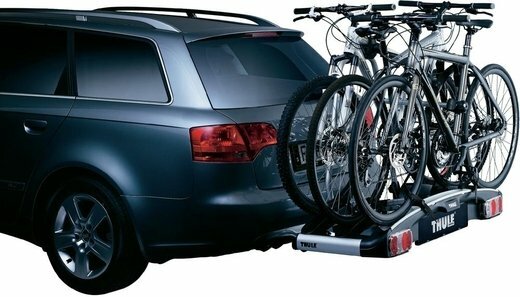 Wide wheel trays with a larger distance make it possible to transport sturdy bicycles with a large wheelbase . 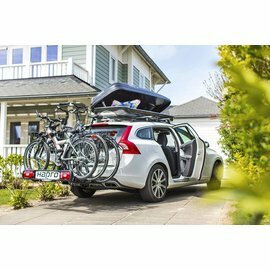 Foldable and therefore easy to store, compact enough to be stored in the trunk of the car. Product uses a 13-pin plug. Avoid heavy lifting. Simply roll the bike into the carrier using the loading bridge 9151.